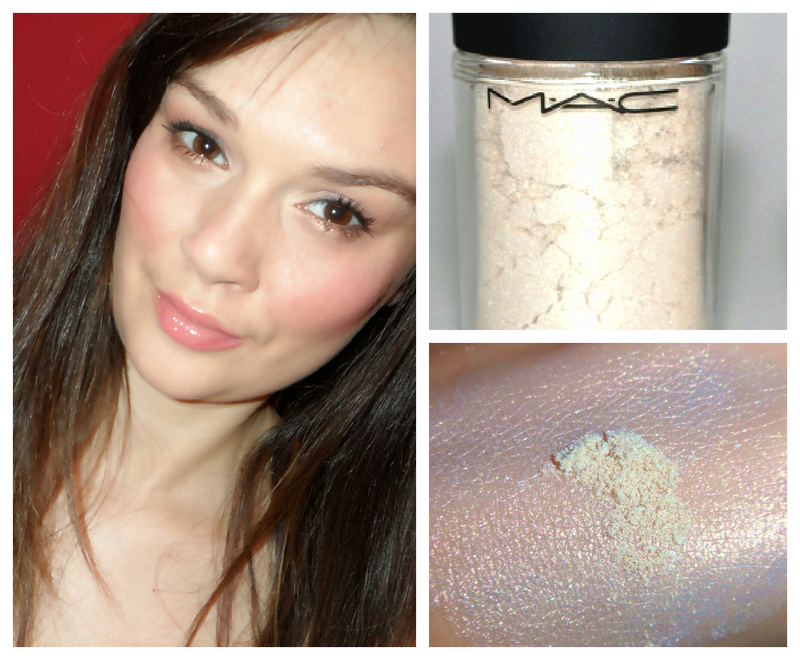 My favourite MAC pigments of all times are Vanilla and Naked. I love them so much, because they are so versatile. Both pigments have smooth and finely milled texture and are easy to blend with other pigments and eyeshadows. These can be used dry or wet for more color intensity and pigmentation. They also can be mixed into moisturizer or foundation to create that healthy glow. I sometimes mixed them with a lipstick or lip gloss to create shimmery finish. Both pigments have smooth and finely milled texture and are easy to blend with other pigments and eyeshadows. Vanilla Pigment is my go to highlighter. I would describe it as the palest gold with light pink sheen, although it looks completely white in the packaging. I love using this pigment on my cheek bones and right above my cupids bow, under my eyebrows and in the corner of my eye, and down the brim of the nose. It can also be used wet as an eye shadow base or just to give dimension and shine when blended with other eye shadows. Naked is a beautiful flesh toned beige pink with light golden shimmer, just enough to add some interest, and nothing over the top. 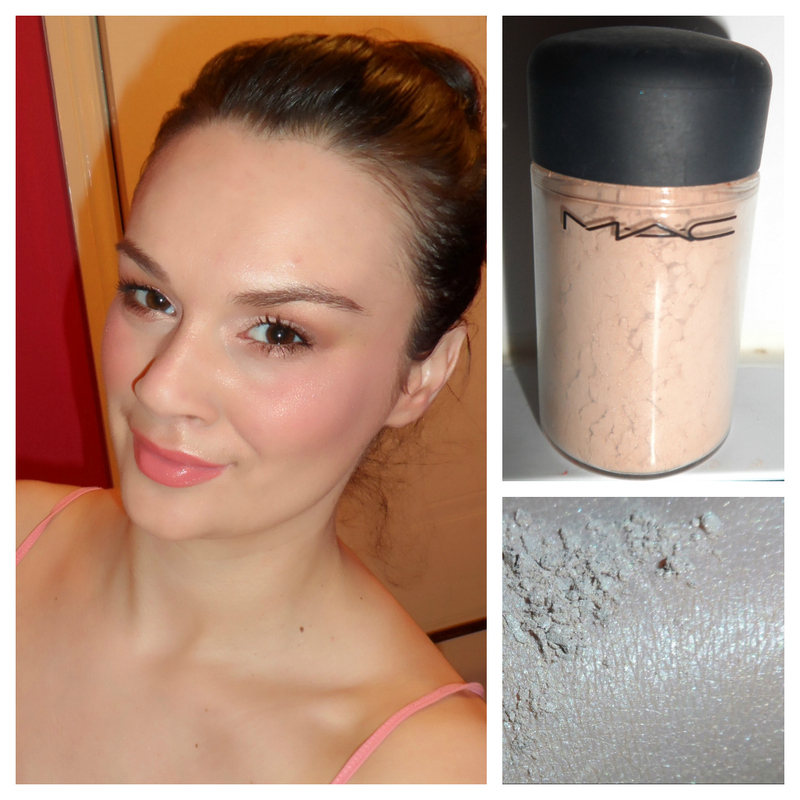 I apply it pretty much the same way as I would apply the Vanilla Pigment. Sometimes I apply it as all over lid color and my cheeks as a highlighter for the natural day look that is work appropriate. I also like to use it wet on my lid and in the inner corner of the eye combined with light brown eyeshadow for the so called no makeup look. Have you tried MAC’s Vanilla or Naked Pigment yet? What is your favorite pigment? This pigment looks amazing on your skin! Amazing review!